For the 2017/18 season, OL has completely overhauled the fan experience on offer. The club will now offer you an unprecedented experience that will go beyond the usual 90 minutes. Find out about the five versions of season ticket. Olympique Lyonnais has launched its new season ticket campaign for the 2017/18 season at the Parc OL. After an action-packed season, get your season ticket or renew your current one and take advantage of the five different deals for enjoying the match and more. As a season ticket holder, you will have access to a dedicated ticket counter, discounts and be a part of the programme MyOL for some amazing offers! If you thought watching a match on TV was great, then you’ll love seeing it live. At the Parc OL, matches really are live. 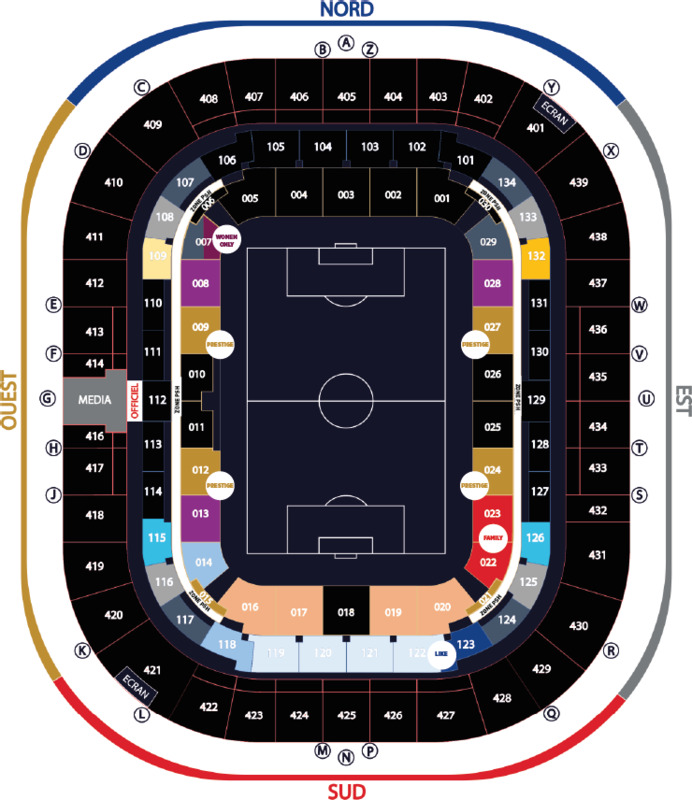 See the stadium map that sets out the various season ticket categories. Here’s the pricing structure. 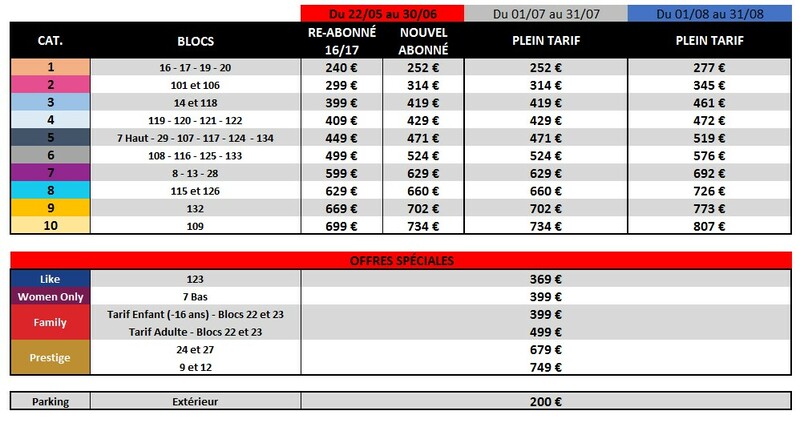 Go to the Parc OL ticket office to find all the available options and more information. 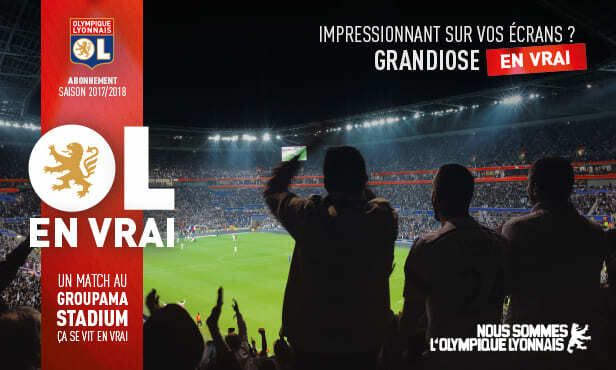 See all Ligue 1 matches and enjoy membership of the MyOL programme, as well as season ticket access take advantage of deals on extra places. As well as the match, and in a dedicated, welcoming environment, meet up with your friends and take advantage of the Like Zone before the match. Located on the southern side, this zone will give you the opportunity to have a fun pre-match in a relaxed atmosphere with a DJ and “beer pong” tournament. Female OL fans, this offer is tailor made for you. Unleash your passion and take advantage of an exclusive space in the stands. You’ll also get seats for the OL Women matches for only €1 more (Women’s Champions League included). Here’s a tailor-made deal to see the match as a family with a range of services catering for young and old. Watch all OL matches undistracted while having some family time in a special section of the stadium. This offer also includes parking or three people. Treat yourself to an all-inclusive full package. Take advantage of the best seats in the house, a parking spot for three people, a premium catering service and ushering to your seat. Also enjoy all associated services thanks to the MyOL loyalty programme and get direct Capitaine status and all that comes with it. Go to the Parc OL ticket office to find all available options and more information.